The Hawaii Department of Transportation opened bids today for the next phase of the Lahaina Bypass project on Maui.Â Phase 1B-1 is the second part of the five phase project.Â The bypass is being constructed as an alternate route to alleviate rush hour traffic through busy Lahaina town in West Maui. 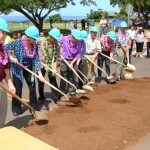 In April, the state broke ground on the initial phase of the Lahaina Bypass. Today, the DOT opens bids for Phase 1B-1. File Photo by Wendy Osher. Phase 1B-1 spans approximately 1.7 miles from Lahainaluna Road, connecting to the ongoing work on Phase 1A, and south to Hokiokio Place.Â Cost of the new phase projected to be $50 million, with 80 percent to be federally funded. â€œWe are very excited about moving forward with these traffic solutions,â€ said Brennon Morioka, DOT Director.Â â€œThese projects will help to improve the quality of life for thousands of motorists each day, getting them through traffic and home to their families faster than ever before. 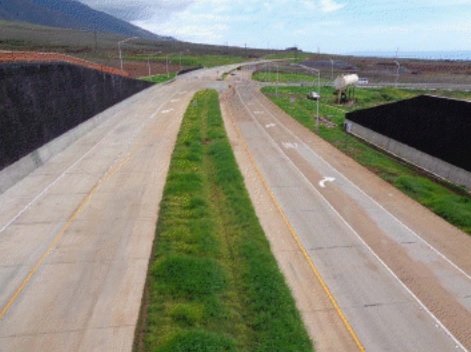 The DOT also announced the opening of bids on the H-1 Freeway P.M. Contraflow and Pearl City and Waimalu Viaducts Improvement Projects on Oahu. 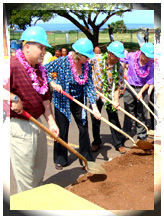 â€œThe projects are part of the stateâ€™s efforts to stimulate the economy and create jobs, and represent the ongoing commitment of the Lingle-Aiona Administration to improve and modernize Hawaiâ€˜iâ€™s transportation infrastructure,â€ Morioka added. The Highways Division will review solicited bids and announce a contractor selection in mid-2010.